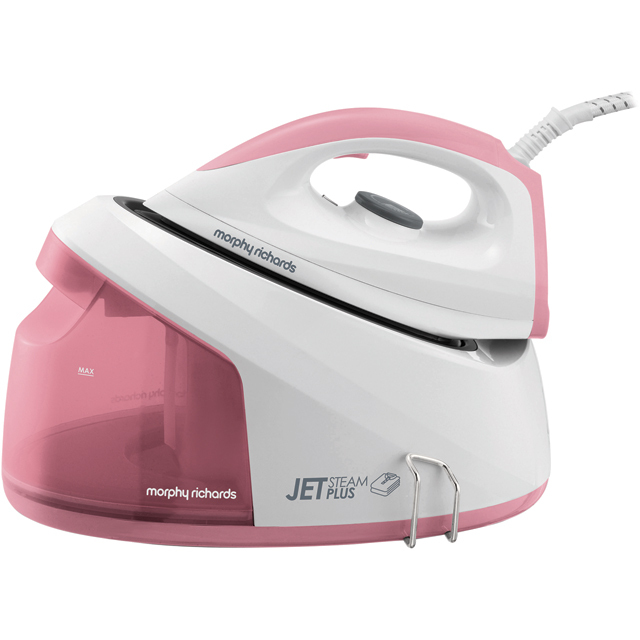 Power through the laundry pile with this steam generator iron from Morphy Richards. Because it’s pressurised, it’s super-powerful and will remove any stubborn crinkles in no time. This model has a non-stick soleplate too, so it’ll smoothly glide over fabrics with ease. If you’ve noticed a few deep creases in your curtains, the vertical steam function blasts them straight out, and you won’t even have to take them down. Plus, because the anti-drip feature stops droplets falling on your shirts, you won’t be left with annoying stains. The water tank’s removable as well, so you can easily take it out to refill at the sink.